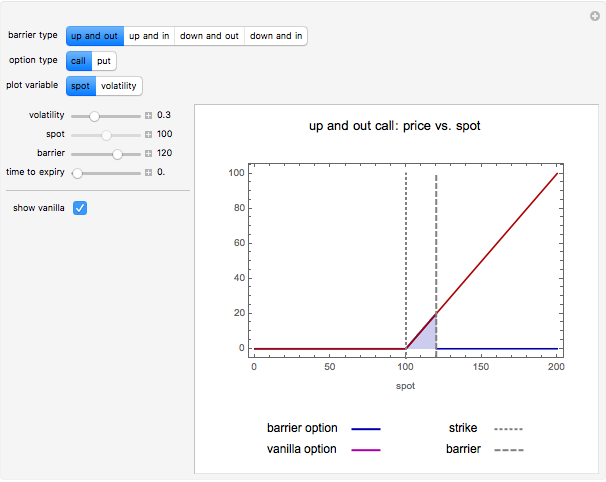 Barrier options are a particular type of exotic option in which a certain "barrier" level is specified, and then the option either "knocks in" (becomes exercisable) or "knocks out" (becomes worthless) if the underlying asset price crosses this level from above (for "down" types) or below (for "up" types). 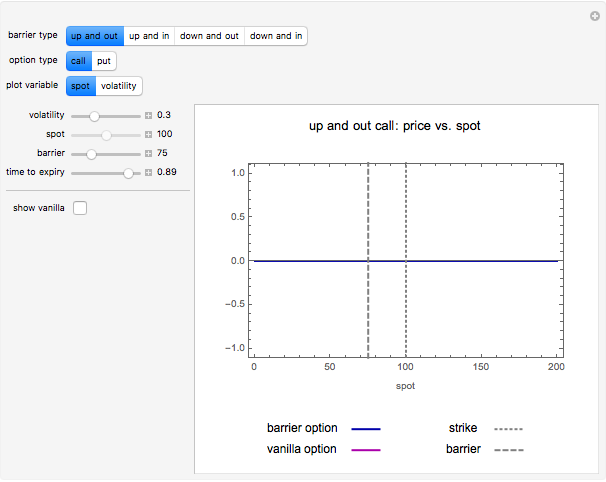 There are four types of barriers, varying according to how the barrier affects the price: "up and in", "up and out", "down and in", and "down and out". 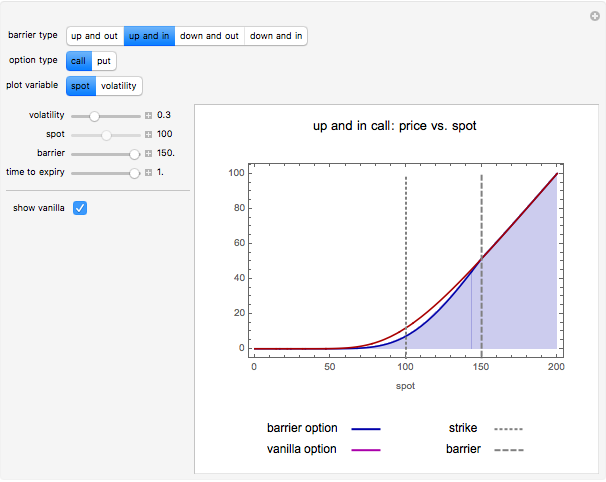 Additionally, as with regular vanilla options, barrier options come in "call" and "put" form. 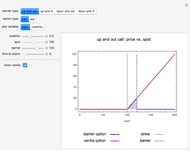 This Demonstration illustrates the pricing formulas for these options within the Black–Scholes framework. 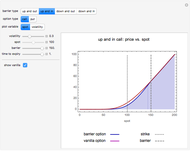 The closed-form pricing formulas for barrier options used in this Demonstration can be found in, e.g., P. Wilmott, Paul Wilmott on Quantitative Finance, New York: Wiley, 2006. In the Demonstration we assume zero dividend yield, an interest rate of 5%, and a strike price of 100. 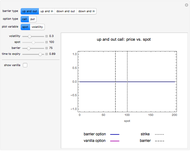 Peter Falloon "Barrier Option Pricing within the Black-Scholes Model"